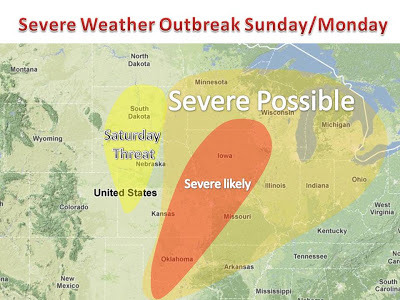 A major severe weather outbreak is possible for the end of this week and even more so on Monday. 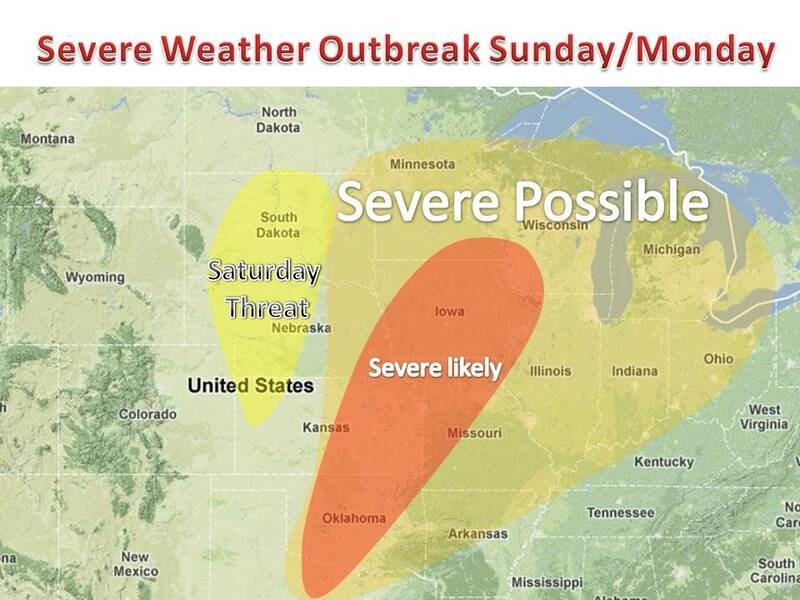 A warming Midwest west will set up on Saturday and Sunday to create necessary instability. An upper level area of low pressure will move into the Plains for Saturday. Severe weather possible. Then, a strong cold front will then crash in and fire up storms along itself. The exact area where these interactions is still a little in question, being four days away, but we thought is was time to alert everyone to this developing situation. More information in the coming days.